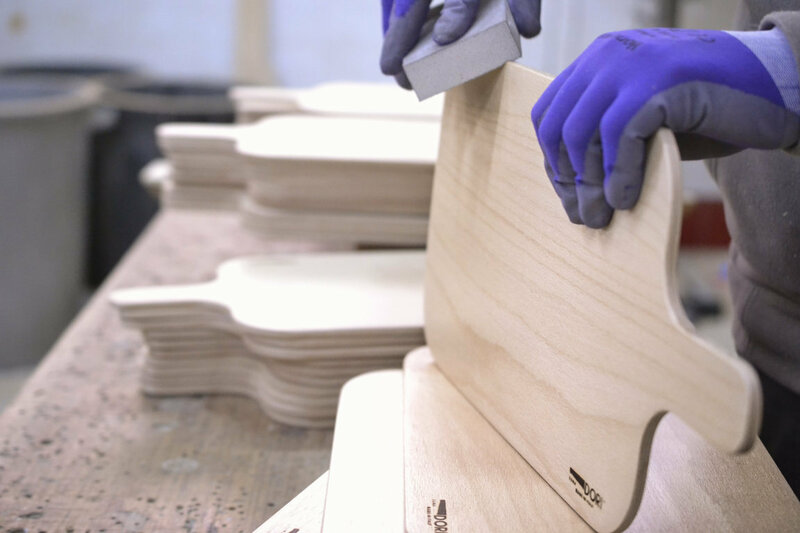 For over half a century, passed down from father to son, Dori joinery is with its products a staple for bakers and pizza makers. The quality of the wood used together with the skill of knowing how to create, with simple and ancient gestures, tools perfect for all situations make this craft actually a valuable reference for all players in the field of Art White. 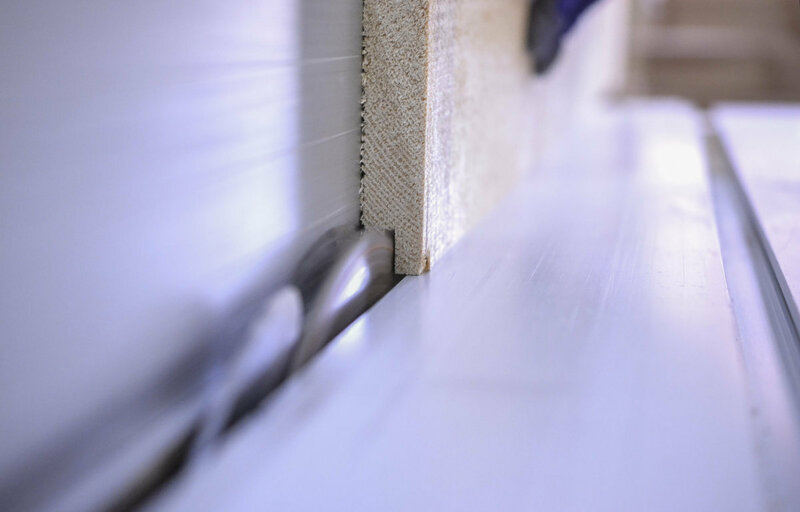 Duration, maneuverability and lightness distinguish the production of blades, making them unique in respect of a limited industrial production and limiting for those who use these valuable tools every day. 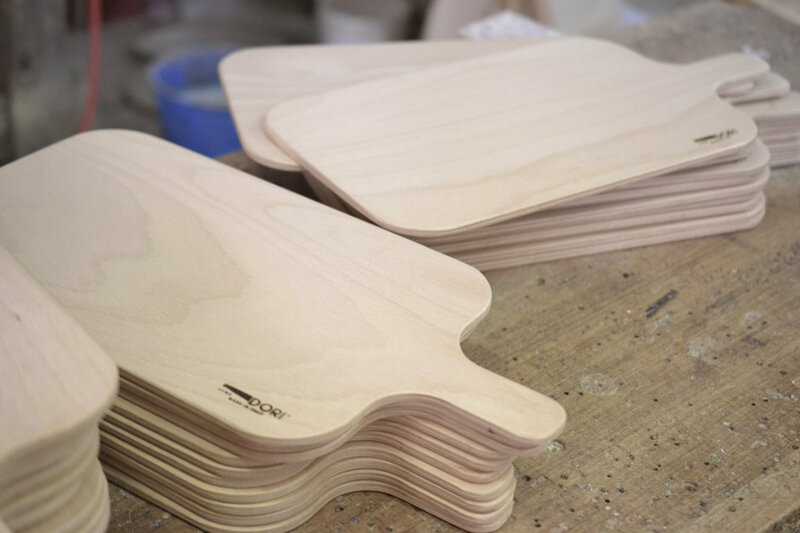 The production is divided equally among products in its accomplishments "to measure" of plans laminated beech for pizza to the blade, cutting boards and spiane treated beech. The experience and knowledge of the working environment inside of ovens and vapoforni also allow us to provide "turnkey projects" of all the furniture; cavicchiati by the speakers at the door shelves bread. In collaboration with architects and interior designers we offer all the experience necessary for the proper design of work benches made of natural wood, guaranteed for food through the adoption of special completely non-toxic paint finish.